New to turmeric? Then you must be having a number of questions running through your mind. Pretty natural to have these thoughts. 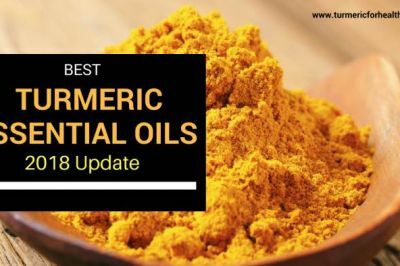 Nevertheless, this article aims to answer all the general questions you might have with regards to turmeric. Turmeric is a plant or rather herb native to Southeast Asia. As a medicine, its use dates back to 4,000-6,000 years. No wonder it is known as a ‘spice of life’ or the ‘golden spice’. In Sanskrit language, turmeric has over 55 names. Turmeric belongs to the ginger family or Zingerbeacea. The genus of turmeric is known as Curcuma and there are over 131 species in this genus. Yes they are varieties of turmeric such as yellow turmeric, white turmeric, and black turmeric, etc. But we are talking about yellow turmeric. This is commonly used as a spice mostly in Asian countries. Its scientific name is Curcuma longa. Other commercially important species include Curcuma aromatica, Curcuma amada, Curcuma zedoary, Curcuma caesia. In historic times, turmeric was not used as a spice but as a dye and medicinal remedy. Traditionally it has been used to treat fevers, stomach problems, allergies, asthma, heartburn, jaundice, flatulence, etc. Externally it used to treat inflammation and swelling in sprains, cuts, and wounds. Turmeric plant juice or paste is used as an effective therapy against insect bites and skin diseases. Turmeric is used in treating rheumatism and diabetes traditionally. It is a natural antibiotic and detoxifying agent. India is the largest producer of turmeric. India produces the world’s supply of turmeric and consumes about 80% of it. Now we will go over what makes turmeric the spice of life. The therapeutic property of turmeric is attributed to two components: curcuminoids and volatile oil. The curcuminoids fraction comprises mainly of curcumin, demethoxycurcumin, and bisdemethoxycurcumin which are strong antioxidants and the give the herb orange-yellow hue. Curcumin is the most important component and biologically active ingredient of turmeric. The volatile oil contains a number of compounds that are therapeutically active. Ar-turmerone and zingerberene are the compounds that impart aroma to the herb. What makes turmeric so awesome is that curcumin present in it serves as a pleiotropic molecule. That it means this single molecule has the ability to modulate enzymes, proteins and various molecular targets. 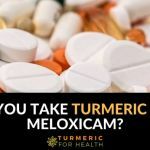 For example, if you were to consider its anti-cancer property, then research shows that curcumin alone manipulates 20+ biochemical targets in order to kill cancer cells (Read How Turmeric Redesigns Cancer Cell Mortality). Turmeric’s pharmacological properties are similar to many mainstream drugs used to treat various disorders. 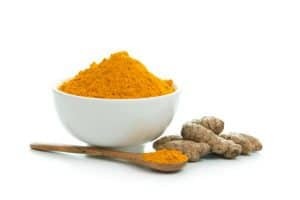 Research shows that curcumin fares better than diclofenac sodium as an anti-inflammatory agent and anti-arthritic agent. A study reports that curcumin formulation, Meriva has anti-inflammatory and painkiller activity comparable to painkillers nimesulide and paracetamol and to make it even better it has lesser gastric side effects. Nanocurcumin is found to better than Catopril, an anti-hypertensive drug, in treating elevated blood pressure. Curcumin at doses of 1000mg is proven to be better than Prozac, a commonly prescribed antidepressant. Curcumin fares better than steroids in treating oral ulcers. It works better than a cholesterol-lowering drug, in protecting the heart and vascular health. These findings suggest that curcumin is a natural alternative for treating many diseases. Also, turmeric’s healing property is not limited to humans. Turmeric can be safely given to animals in food. Research shows that turmeric is one of the supplements prescribed for the natural treatment of dog arthritis. Studies in horse cells show that curcumin works as an excellent anti-inflammatory agent and can be used to treat related horse diseases. Anecdotally many pet lovers have been giving turmeric to their pets and they swear by its healing properties. Here are a few pharmacological properties of turmeric that make it a potential therapeutic aid in many conditions. One of the prime reasons why people are turning towards turmeric as a therapeutic aid is that is a potent anti-inflammatory agent. Curcumin in turmeric contributes to its anti-inflammatory property but even curcumin free turmeric can help in inflammation. Curcumin acts on the major protein that controls inflammation, nuclear factor kappa B and inhibits its activity. This in turn turns down genes that contribute to inflammation and other proteins and enzymes involved in inflammation. Curcumin inhibits the activity of enzymes involved in inflammation such as COX and LOX and this action is similar to anti-inflammatory drugs that are generally prescribed such as celecoxib. Its ability to control inflammation contributes to its painkiller activity. And not only inflammation induced pain, curcumin can also attenuate nociceptive and neuropathic pain or nerve related pain. 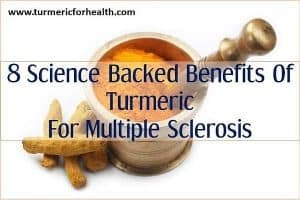 This anti-inflammatory property of turmeric is beneficial in diseases like arthritis, uveitis and in conditions like wound healing and post surgical recovery. Turmeric efficiently controls inflammation and is therapeutic in conditions like arthritis, wound healing and post surgical recovery. It acts mainly by the same mechanism as conventional drugs and also by targeting other players in inflammation but does not cause side effects. Curcuminoids present in turmeric that give it the orange yellow color, are strong antioxidants. 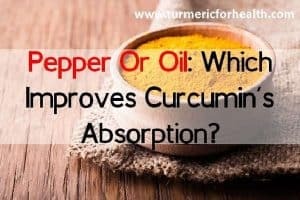 Their antioxidant activity is comparable to Vitamin C and E.
Curcumin’s antioxidant effect is found to be effective in protecting from heavy metal toxicity. This antioxidant property can protect from genetic damage caused by anti-tumor agents. It also helps in conditions like diabetes and thalassemia. Curcumin and other curcuminoids serve as antioxidants which help in reducing oxidative stress occurring in many diseases like diabetes and thalassemia. Curcumin has broad spectrum anti-microbial activity. It inhibits the growth of bacteria, viruses, fungi etc. Lab studies show that curcumin is effective in the treatment of H.pylori, bacteria that causes GERD. 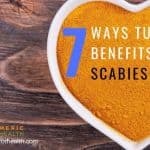 It acts in synergy with antibiotics. This antibacterial effect of turmeric is useful in the treatment of pneumonia and tuberculosis. Curcumin inhibits the growth of many microbes and this is therapeutic in treatment of conditions like food poisoning, tuberculosis, HPV, HSV etc. Traditionally turmeric is applied externally to wounds to serve as an antiseptic and to enable faster healing. Curcumin reduces natural responses that aggravates inflammation and leads to oxidative damage. It enhances scab formation, tissue remodelling, deposition of collagen which accelerates wound healing. The antioxidant property of curcumin accelerates wound healing. Curcumin’s wound healing property finds its use in the treatment of burn wounds, wounds damaged by radiation and impaired wound healing due to a disease like diabetes. 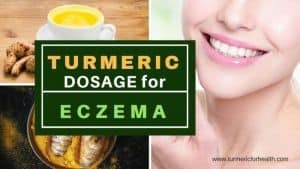 Curcumin is beneficial in accelerating wound healing process and this property aid in treatments of burns, wounds, skin diseases or in conditions with impaired wound healing. Curcumin has received a lot of attention in relation to cancer research. What makes it an ideal candidate for anti-cancer therapy is its ability to selectively kill cancer cells and not affect normal cells. Curcumin is a chemopreventive agent- it prevents cancer and also prevents precancerous lesions from progressing into cancer. It acts in synergy with chemotherapeutic agents and sensitizes cancer cells to chemotherapy. It protects normal cells from toxic effects of cancer therapy. 500 mg Meriva, a specialized formulation of curcumin, taken thrice a day reduces the symptoms associated with chemotherapy and radiotherapy. Curcumin also prevents cancer from spreading to other parts of the body. 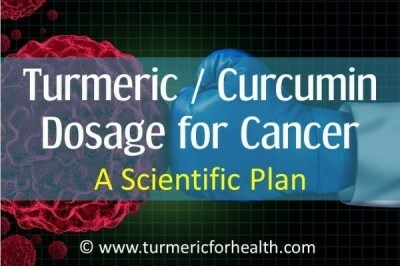 For details on the dosage of curcumin for cancer please read Turmeric / Curcumin Dosage for Cancer : A Scientific Plan. Curcumin works as an anti-cancer by multitargeting various proteins, enzymes and genes involved in cancer growth and development. It potentiates the anti-cancer activity of some chemotherapeutic agents and protects normal cells from toxicity of cancer therapy. Turmeric has gastroprotective properties- it protects the digestive system from disorders. Curcumin protects the gastric lining from erosions due to toxic elements and non steroidal anti-inflammatory drugs thereby preventing ulcer formation. Even turmeric oil has anti-ulcer property. Research shows that curcumin ameliorates symptoms of irritable bowel syndrome. Curcumin as an adjunctive therapy in combination with standard treatment for gastric ulcer and acidity is found to improve dyspepsia symptoms. Curcumin therapy with steroids and medications like sulfasalazine is found to improve symptoms of inflammatory bowel disease. Patients even stop taking standard medications. Curcumin even protects from foodborne pathogens. Turmeric remedies many stomach related ailments such as irritable bowel syndrome, inflammatory bowel disease and food poisoning. Curcumin is a hepatoprotective agent- it protects the liver from infection and toxicity. Research shows that it protects the liver from pesticide induced toxicity. Curcumin is found to protect the liver from cancer. Curcumin reduces liver injury caused by alcohol, iron overdose, carbon tetrachloride etc. A clinical trial was conducted where individuals suffering from the non alcoholic fatty liver disease were 500mg curcumin formulation equivalent to 70mg curcumin everyday for 8 weeks. Curcumin reduced liver fat and an improvement of 79.8% was observed. Additionally, curcumin treated group experienced a reduction in weight, blood lipids and cholesterol levels. Curcumin protects liver function and health from toxicity and disease. It finds its use in liver cancer, fatty liver disease, liver cirrhosis etc. Turmeric is extremely beneficial for brain health. One of the very famous study quoted in reference to turmeric and brain health is it’s potential as an antidepressant in comparison to Prozac. Even turmerone, present in turmeric oil has anti-depressant activity. A review of studies reveals that curcumin administration reduces depressive symptoms much better than standard therapy alone. Research shows that curcumin holds benefits for Parkinsons and Alzheimer’s disease. Curcumin is identified as a potential neuroprotective agent (beneficial for brain health) and is therapeutic in stroke, head trauma and neurotoxicity like conditions. Turmeric is beneficial for neuropsychiatric conditions of the brain as well as brain related diseases like stroke, Alzheimer’s etc. Adding to its multiple benefits is curcumin’s ability to protect the heart. Scientific studies point out that curcumin is beneficial in protection and recovery from myocardial ischemia, myocardial infarction, cardiomyopathy, and arrhythmia. Curcumin is found to protect the heart from cancer drug induced toxicity. Dietary curcumin is proposed to be beneficial in restoring cardiac function post heart attack. Animal studies depict the potential of curcumin in treating autoimmune myocarditis and cardiac fibrosis. Curcumin is a cardioprotective agent and restores cardiac function in heart diseases. Venkatesan et. al have documented the potential of curcumin in treating respiratory disorders. 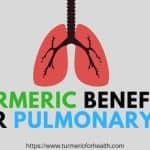 Studies show that curcumin plays a protective role in the chronic obstructive pulmonary disorder, lung fibrosis, allergic asthma, acute lung injury, acute respiratory distress syndrome etc. Turmeric protects the lung from acute and respiratory disorders; this property is not limited to curcumin alone. Even turmeric oil aids in relieving cough and sputum. 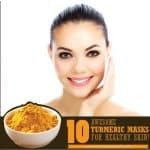 Traditionally turmeric has been used as a herbal cosmetic for the skin. It is a custom in Indian tradition to adorn to be bride and bridegroom with turmeric paste for aesthetic reasons. Apart from cosmetic reasons, curcumin demonstrates therapeutic potential in many skin diseases. Its anti-inflammatory property, anti-microbial activity and wound healing ability contribute to this effect. A review of studies in relation to turmeric and skin disorders show that both oral and topical curcumin/turmeric exert therapeutic benefit for skin health. Animal study shows that curcumin can protect from ultraviolet ray induced skin aging. Turmeric is identified as a herb that can protect the skin from sunburns. Turmeric holds benefits for the skin as a cosmetic as well as for dermatological reasons. It is therapeutic in psoriasis, eczema, skin injury and sun induced skin damage. Yes, turmeric doesn’t leave this one out. Curcumin’s antioxidant and anti-inflammatory property protects kidney function. Ghosh et. al describe the many ways curcumin benefits in chronic kidney disease especially as an anti-inflammatory agent. Curcumin as an antioxidant benefits in many kidney related diseases such as diabetic nephropathy, chronic kidney failure, drug induced kidney toxicity and ischemia reperfusion injury. Curcumin helps in treatment of various kidney diseases by virtue of its antioxidant and anti-inflammatory property. What about the bioavailability/absorption of turmeric? So here is the thing. Turmeric and its active ingredient curcumin are poorly soluble in water, there it is not well absorbed by the gut. Hence there are many formulations of curcumin in the market that claim to enhance its absorption. If you are opting for supplements, please consult a health practitioner about the dose and formulation. Now in fresh turmeric roots, there are turmeric oils that naturally help in absorption of curcumin. So for fresh roots you do not need a bioenhancer but the quantities of curcumin and other active ingredients our body require is more than what is provided by the amount of fresh root we can eat in a day. 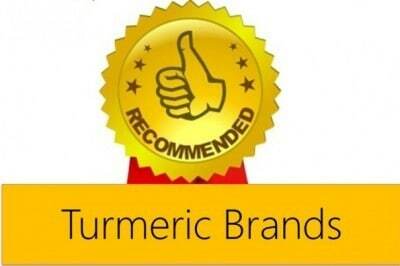 So we suggest opting for organic turmeric powder (For help with good brands please click here). Now to enhance the absorption of turmeric powder, 3 ingredients are required heat, black pepper and oil. 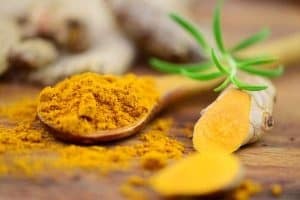 How to take turmeric for health benefits? Many people like to juice fresh turmeric and consume it daily. University of Maryland Medical Centre recommends 1.5-3g of cut root per day and 1-3g of dried powdered root per day. You can have something between 1-5g of fresh roots or say a 1/2 inch long piece a day. 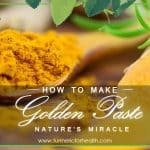 One of the most therapeutic ways to take turmeric is the Golden Paste. The Golden Paste incorporates turmeric, black pepper, oil and heat which increases its absorption in the body and enhances the therapeutic effect. You can find the recipe here.If you need help finding good brands of turmeric and other ingredients please click here. Start with 1/8- 1/4 tsp a day, continue for a week and if you see no side effects gradually increase by 1/4 tsp a week till you reach a dose of 1-2 tsp a day. You can take more or less than this depending on what suits you. You can add this Golden Paste to your soups, smoothies, rice preparations, salads etc. Here are a few tricks to get you started. You can use the same Golden Paste for your pet too. 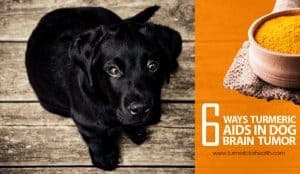 (Read Turmeric Dosage For Dogs- A definitive Guide) However, start them with a dose as small as a quarter teaspoon and slowly build the dose. For horses, you can feed them the same Golden Paste starting with a dose of 1 teaspoon and gradually building the dose. Mix it with feed and add plenty of water. One delicious way of taking turmeric tea. It is highly recommended for pain and flu. You can find the recipe here. 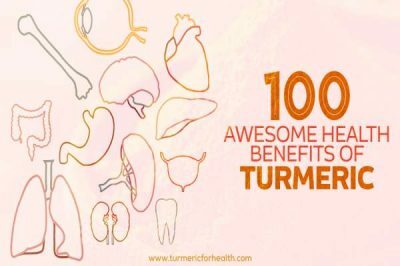 1-2 cups of Turmeric tea a day should help. 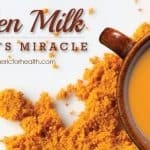 Turmeric milk is just perfect for healing fractures, in case of bone disorders, pain and also for flu. Click here for the recipe. 1-2 cups of Turmeric milk should suffice. 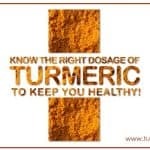 Turmeric supplements are advised only in certain conditions like cancer. The dosage depends on the formulation. 400-600mg of standardized 95% curcumin 2-3 times a day is the recommended dose. Please consult a health practitioner before taking supplements. How To Use Turmeric Topically? 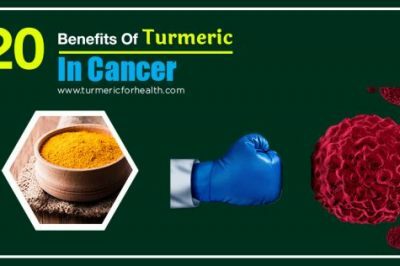 Turmeric can be used topically to relieve pain and inflammation, to relieve skin ailments (How to use turmeric for skin) and even for cancer (6 Benefits Of Topical Turmeric In Cancer). Take organic turmeric powder and mix it with the required amount of extra virgin coconut/olive oil to form a paste. Conduct a patch test prior. If no side effects are observed apply it to the affected region. Cover with gauze or cloth and leave it till dries or for a period of 30 mins to 1 hour. Wash it off. Repeat 2-3 times a day. Results should be visible in a week’s time. Turmeric in the diet is absolutely safe. 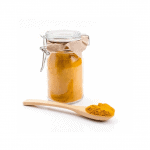 Studies have shown that up to 8g of oral turmeric supplementation does not cause side effects. If you are taking turmeric for the first time, there is a very slight possibility that you may face some gastric symptoms which fade away soon. Turmeric in excess can cause gastric side effects. 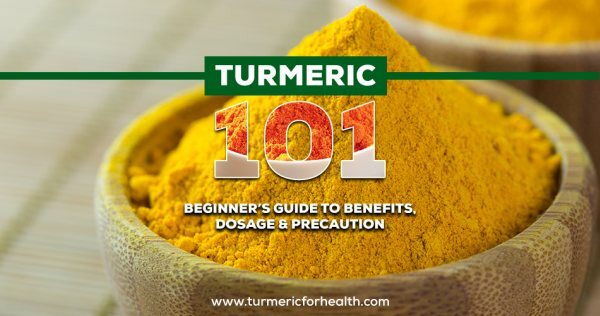 However, you must take turmeric supplements with caution since they are a highly concentrated form of curcumin and contain other additives that might cause issues. Please consult a doctor before taking turmeric supplements. Turmeric supplements should be avoided in pregnancy and lactation. Turmeric may increase bleeding risk slightly and hence supplements should be discontinued 2 weeks prior to surgery. Curcumin is identified with anti-platelet property and hence it is recommended to avoid it with blood thinners. However dietary turmeric is not likely to pose any problems; but it is best to consult your doctor before taking turmeric in case you are suffering from the bleeding disorder. Turmeric supplements should be avoided by those suffering from gall bladder issues. Turmeric is high in oxalates; so if you are at risk of developing kidney stones or have borderline dietary oxalate load please avoid turmeric powder and consult a doctor before taking supplements. 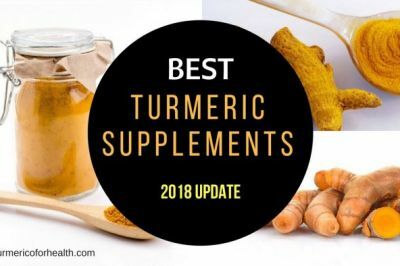 Turmeric supplements may have a drug interaction with stomach acid reducing medicines, certain antidepressants, blood thinning medicines and blood sugar lowering drugs. 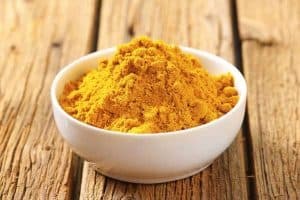 I know this has been quite a long article, but if you have read it carefully then you are no longer a newbie to turmeric; rather you are an expert now. The most important thing about turmeric is that is a herb as well as a spice. Many cultures use it daily as food and do not experience any form of side effects. In fact, these populations have a reduced risk of cancer, brain diseases and heart diseases. So there isn’t much to worry about taking turmeric if taken in moderation. 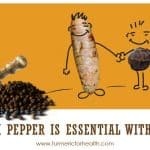 Turmeric is not just a remedy for diseases but boosts and maintains overall health as well as safeguards from diseases. We hope this article has answered all your questions about turmeric , if you still have any feel free to leave your comments or inbox us on our Facebook page. 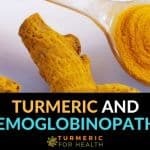 Can we give turmeric to the children who are thalassemic ?? and if yes then what will be the daily dose ?? I have been taking turmeric capsules after food for just over a week hoping it will help my knee pain. I have started with indigestion and bad heartburn, enough to keep me awake at night. I have in the past had indigestion bouts but not all day and bad heartburn. I’ve stopped taking the capsules in case they were the cause. Disappointed as wanted to continue for my knee pain. Any suggestions please. Linda. Hi Linda. We are really sorry to hear that. What dose of turmeric capsules were you taking? High dose of turmeric capsules may cause acid reflux like symptoms in sensitive individuals. We recommend avoiding turmeric supplements. Please switch to Golden Paste.Start with small doses such as 1/4-1/2 tsp and if you see no side effects then increase the dose gradually to 1 tsp 2-3 times a day over a few weeks. Best taken with food to avoid acid reflux. Avoid taking it at the same time when you take meds. This should help alleviate the knee pain. You can also opt for either Golden tea or milk (1 cup per day) as they also help in relieving pain. How far after I take that or before I take that should I take Tumeric capsules ? Keep a 3-4 hour gap between taking anti-diabetic medicines and turmeric supplements.